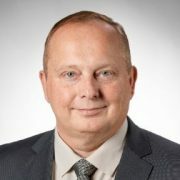 Søren Kruhøffer has been hired as new CEO with Tempress to ensure continous growth and development. The latest years Tempress has launched many new products, has obtained new customers and has entered new markets. This positive development must be strengthened and trimmed by our ambitious CEO in great teamwork with the management and our skilled employees. Søren was sales manager with Tempress from 2002-2007 and knows very well the company as well as the customers. From 2007-2017 Søren had several managerial positions with the wholesale company Brdr. Dahl, where his previous job was country manager in their HVAC division, where he contributed to consolidating their position as market leader. With his strong profile, Tempress is on its’ way to a modern company with state-of-the-art products and technologies. The close cooperation with our owner in China, Hua Hai, continous unchanged. The last few months, Søren has visited customers and agents and he is now actively influencing the company.